The copy I purchases is a revised and expanded edition of The Essential Rumi; it includes more than 80 poems by Rumi that have never been published before. Apparently, the poems are translated from Persian into English. Coleman translated them brilliantly, maintaining almost the original music of Rumi’s lyrics. Yet, I didn’t enjoy the book much. I love reading poetry in Arabic ! Not that I don’t like English poetry; but since it is not written originally in English, I loved the Arabic translation more as it sounds more appealing and moving. I read many poems for Rumi, and my fascination with his poetry grows more after reading Forty Rules of Love by the Turkish novelist Elif Shafak. His poetry that explores mystical world and examines a range of important themes, like love, friendship, etc, is intriguing. His poetry makes me reexamining many things in my life, especially my own concept of “Love / Friendship.” His short, lyrical poems are easy to comprehend, yet are full of insights. 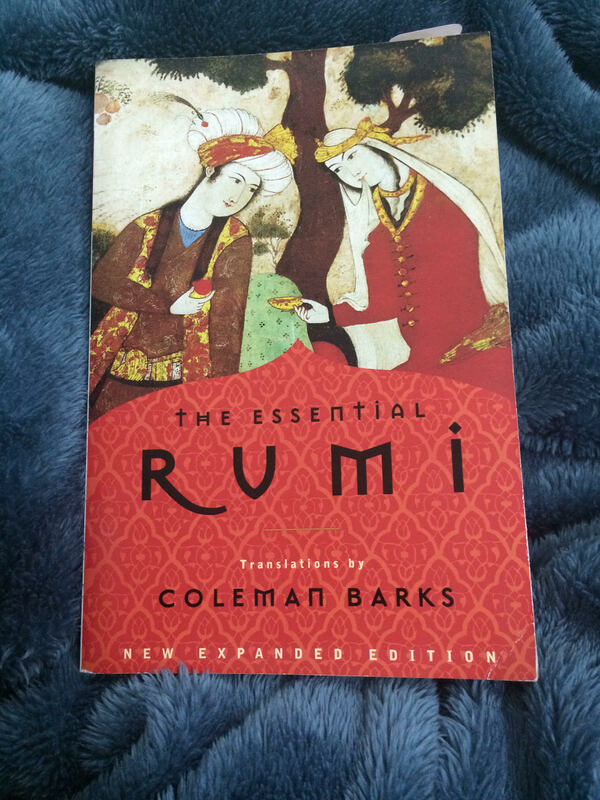 I love Rumi’s poetry, and I totally recommend this book of poetry for any poetry’s lover.